A dental bridge is composed of complementary teeth and a dental crown. The bridge closes the gap between one point and another. This tooth replacement literally “bridges” the gap made by tooth loss. Dental bridges allow you to show your beautiful smile without feeling self-conscious about the gaps between your teeth. 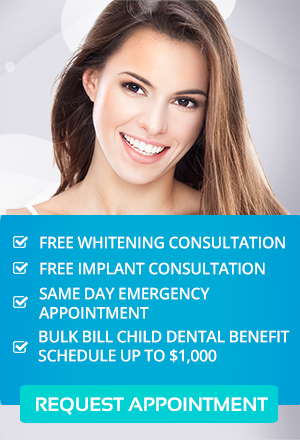 In addition, dental bridges cost less than other restorative methods such as implant dentistry. Tooth loss negatively affects the surrounding teeth, which lose the stability and support offered by the former tooth. Dental bridges prevent the adjacent teeth from shifting over time, which if not prevented, will alter the facial appearance. Bridges fill the gaps and provide stability to the surrounding teeth. To learn if you are a good candidate for dental bridges, visit your Toorak dentist at Simply Smiles Dental today! We provide durable and natural looking bridges to restore your smile and confidence. Restorative dental treatments such as dental bridges let you smile confidently, as well as eat and speak comfortably.